Are you getting "Outlook Error: 0x800CCC7D" on Microsoft Outlook's screen while sending an email. Another error from MS-Outlook? Yes, it can be a big trouble if you are sending an email using Outlook outgoing (SMTP) server details which has authenticated with SSL (Secure Sockets Layer) but do not have authority to work with it. 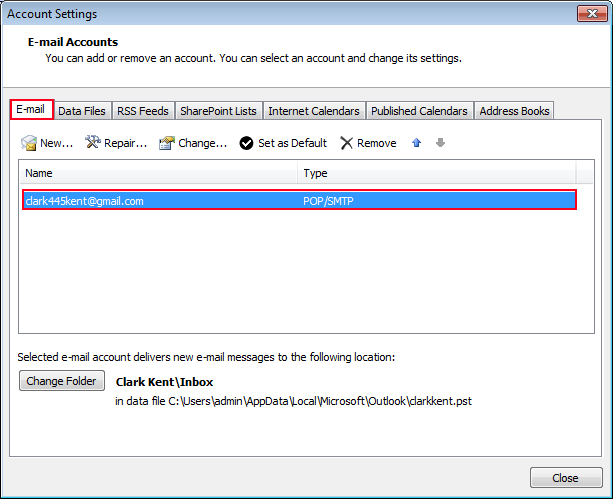 In simple, Outlook error secure sockets layer occurs because Outlook does not support SSL authentication on SMTP. Error Message:Task 'server_name.com'-Sending' reported error (0x800CCC7D)': Your outgoing (SMTP) server does not support SSL-secured connections. If SSL-secured connections have worked in the past, contact your server administrator or Internet service provider (ISP). Main Cause: SMTP or Outgoing server not supporting SSL. 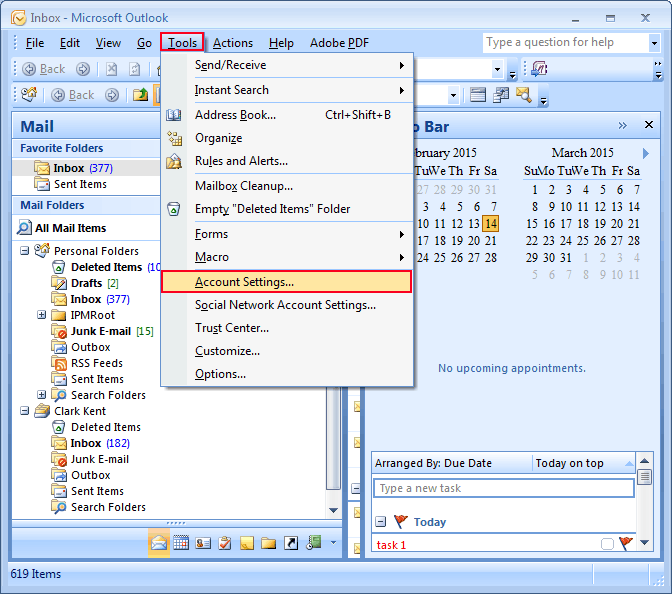 Other Causes: Damaged Outlook profile or wrong or improper account settings. Go to the "Tools" menu and click on the "Account Settings" option. 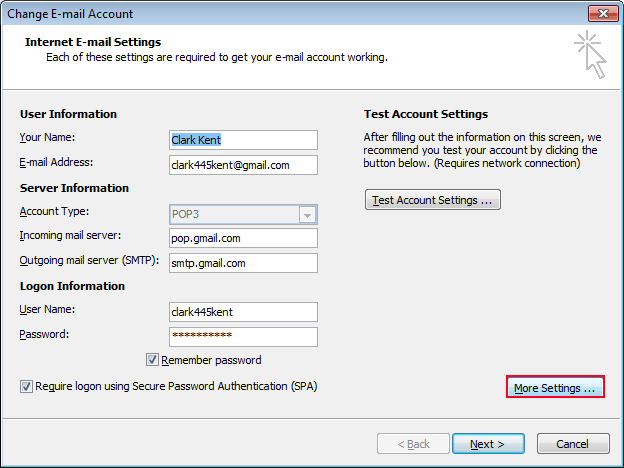 In "Account Settings" pop-up window and under the "Email" tab, select the email account which is producing an error while sending and double click on it. By clicking on the "Email" tab, you will move on to account setting page and then click on the "More Settings" option. 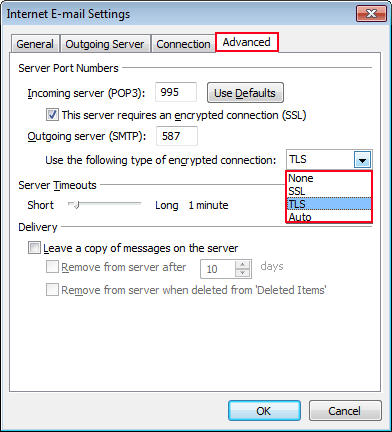 Now, In "Internet E-mail settings", click on the "Advanced" tab and change the type of encrypted connection under the Outgoing server (SMTP). Select any type of layer authentication apart from SSL from the given list of security layer. 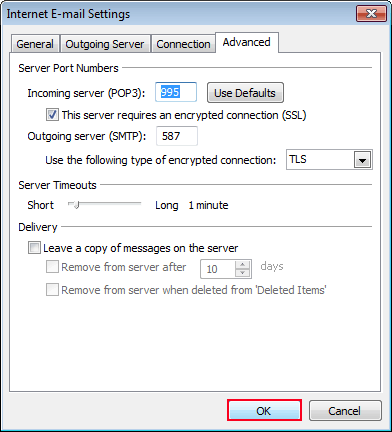 Tips: Use proper server settings like port numbers, Outgoing/Incoming server details, etc. along with its right server authentications. Warning : As I mentioned, Outlook error 0x800ccc7d can be also reported or encountered due to another causes such as wrong account/profile settings and corruption in the PST data file. To fix the sending reported error 0x800ccc7d you can use Inbox Repair Tool, but as it is not much perfect solution to bear most of the recovery cases. In such scenarios, try Outlook PST Recovery solution which assures to give you 100% safe and healthy recovery of the Outlook data file.